Abstract—In recent years, great advances have been made in the speed, accuracy, and coverage of automatic word sense disambiguators - systems that given a word appearing in a certain context, can identify the sense of that word. This research has prompted a number of investigations into the relationship between information retrieval (IR) and lexical ambiguity in web mining. The work presented in this paper is such an exploration. Starting with a review of previous research that attempted to improve the representation of documents in IR systems, this research is reassessed in the light of word sense ambiguity. The results of these experiments lead to the conclusions that query size plays an important role in the relationship between ambiguity and IR in web content mining. Word Sense Disambiguation (WSD) is tested and analyzed for some of the existing Information Retrieval engines like Google, Clusty, yahoo, Altavista and msnsearch using Brill’s tagger, and the derived results for the IR systems recommends how to accommodate the sense information in the selected document collection. The conclusions of these experiments are found to broadly confirm those of the previous set. Index Terms—Information Retrieval (IR), Query expansion,Vector space model, Visualization, Word Sense Disambiguation(WSD), WordNet, , Web Mining. S.K.Jayanthi is with Computer Science Department as Associate Professor and Head, Vellalar College for Women (Autonomous), Erode,Tamilnadu, India. S.Prema is with Computer science Department as Assistant Professor,K.S.R. College of Arts and Science, Tiruchengode-637215, Namakkal district,Tamilnadu, India (e-mail: prema_shanmuga@yahoo.com). 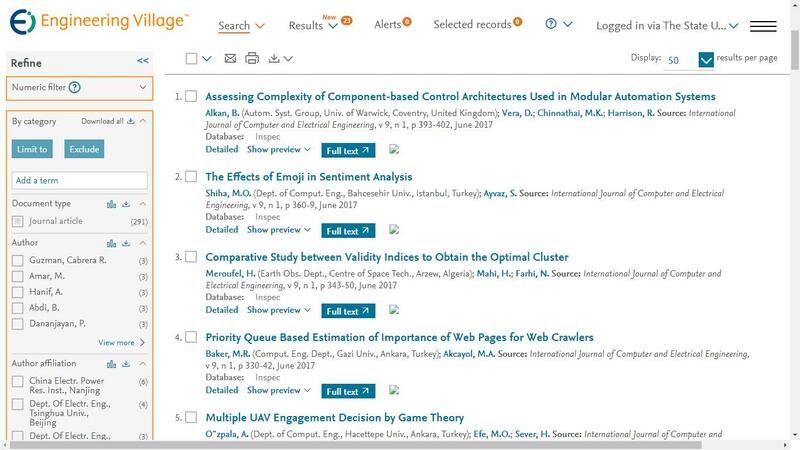 Cite: S.K.Jayanthi and S. Prema, "Word Sense Disambiguation in Web Content Mining Using Brill‘s Tagger Technique," International Journal of Computer and Electrical Engineering vol. 3, no. 3, pp. 358-362 , 2011.